Ronaldo Luís Nazário de Lima, commonly known as Ronaldo, is a Brazilian retired professional footballer who played as a striker. Popularly dubbed “Il Fenômeno” (The Phenomenon), he is widely considered to be one of the greatest football players of all time. 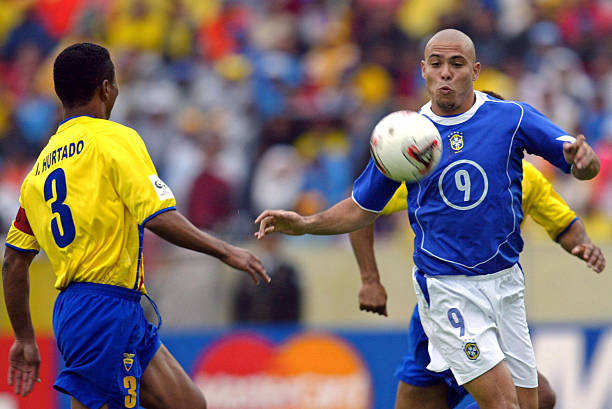 A three-time FIFA World Player of the Year and two-time Ballon d’Or recipient, Ronaldo, in his 1990s prime, was known for his dribbling at speed, feints and clinical finishing. He was named in the FIFA 100, a list of the greatest living players compiled in 2004, and was inducted into the Brazilian Football Museum Hall of Fame and the Italian Football Hall of Fame. 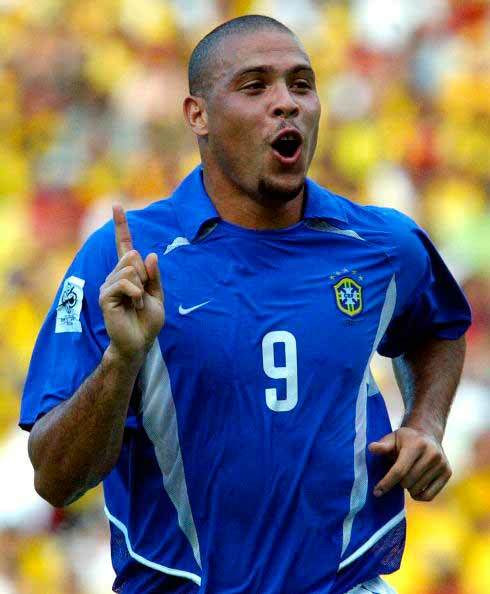 Ronaldo played for Brazil in 98 matches, scoring 62 goals, and is the second-highest goalscorer for his national team, trailing only Pelé. 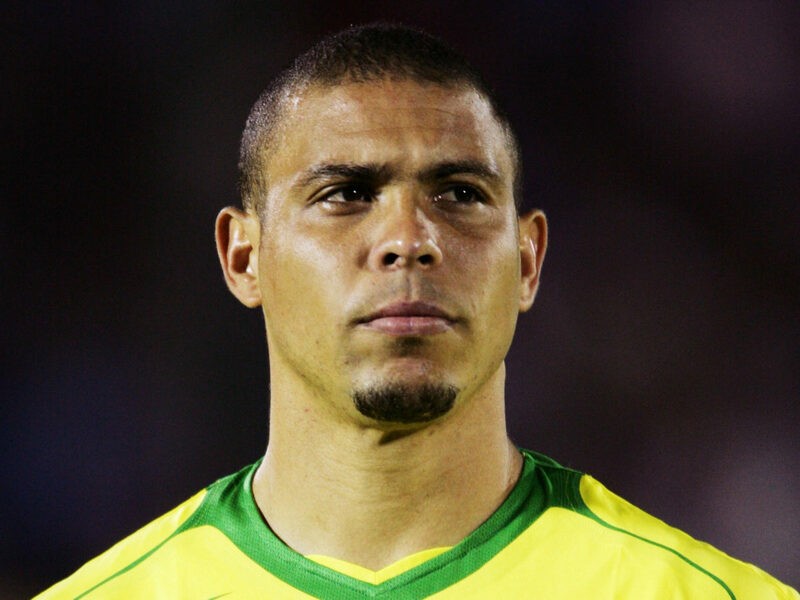 At age 17, Ronaldo was the youngest member of the Brazilian squad that won the 1994 FIFA World Cup. 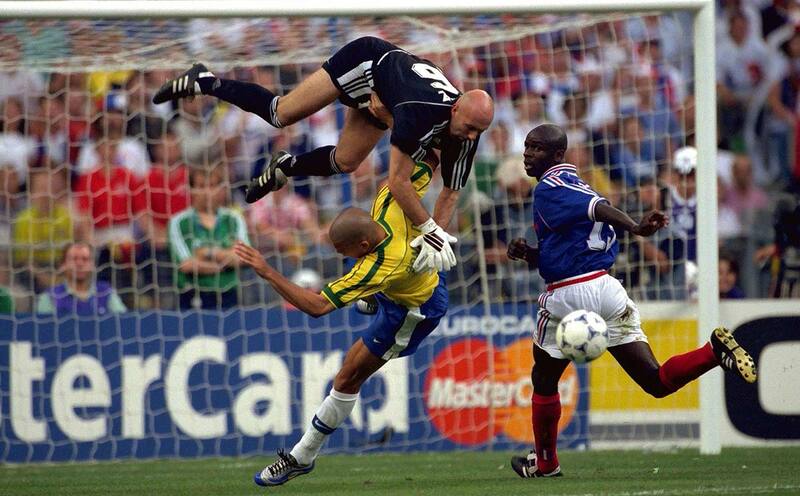 At the 1998 World Cup, he received the Golden Ball for player of the tournament in helping Brazil reach the final where he suffered a convulsive fit hours before the defeat to France. 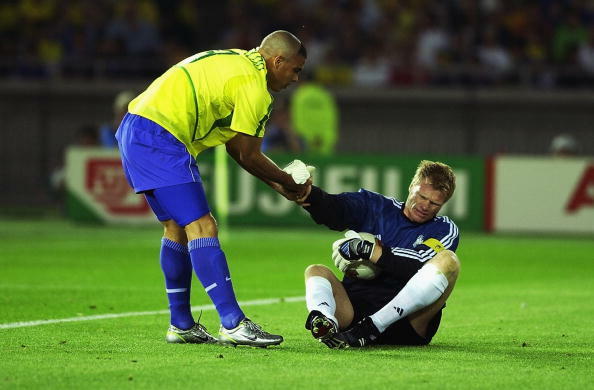 He won a second World Cup in 2002 where he starred in a front three with Ronaldinho and Rivaldo. Ronaldo scored twice in the final, and received the Golden Boot as tournament’s top goalscorer. 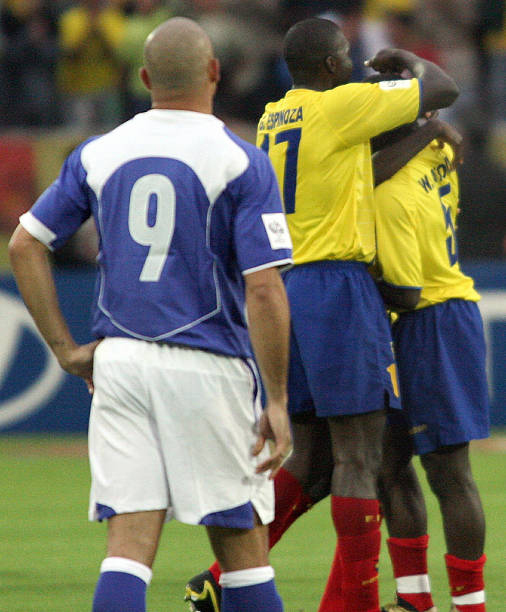 During the 2006 FIFA World Cup, Ronaldo scored his 15th World Cup goal, which was a World Cup record at the time. 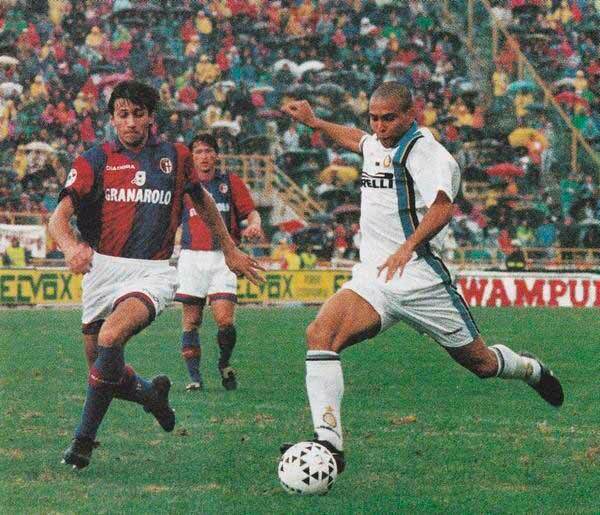 At his physical peak in the 1990s, Ronaldo starred at club level for Cruzeiro, PSV, Barcelona and Internazionale. His moves to Spain and Italy made him only the second player, after Diego Maradona, to break the world transfer record twice, all before his 21st birthday. At age 23, he had scored over 200 goals for club and country. After almost three years of inactivity due to serious knee injuries and recuperation, Ronaldo joined Real Madrid in 2002, which was followed by spells at A.C. Milan and Corinthians. 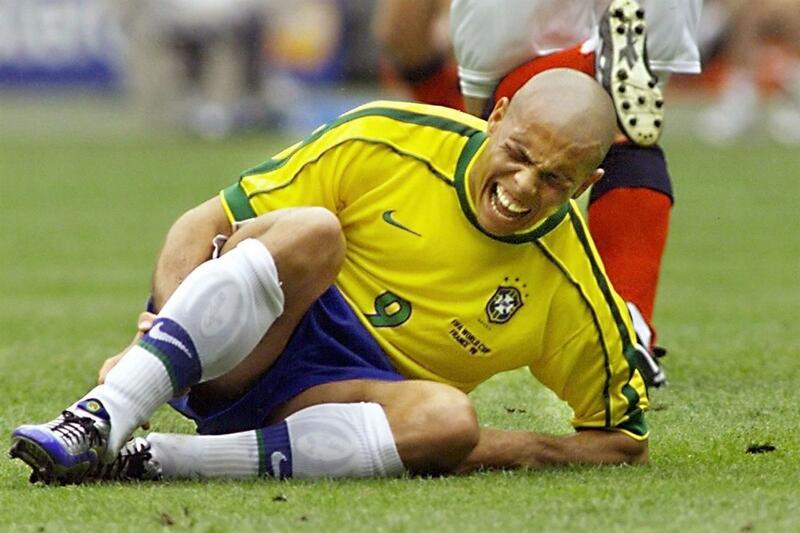 Having suffered further injuries, Ronaldo retired from professional football in 2011. Post-retirement, he has continued his work as a United Nations Development Programme Goodwill Ambassador, a position to which he was appointed in 2000. 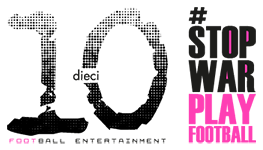 He served as an ambassador for the 2014 FIFA World Cup. 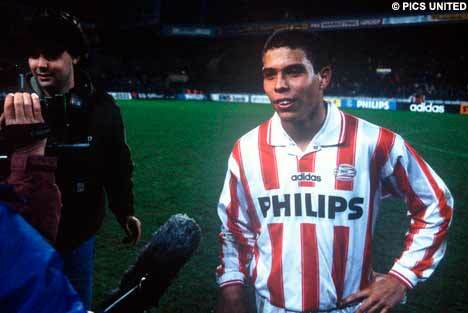 Ronaldo chose to join PSV after the 1994 World Cup, for which he was selected despite being just 17, but did not play. 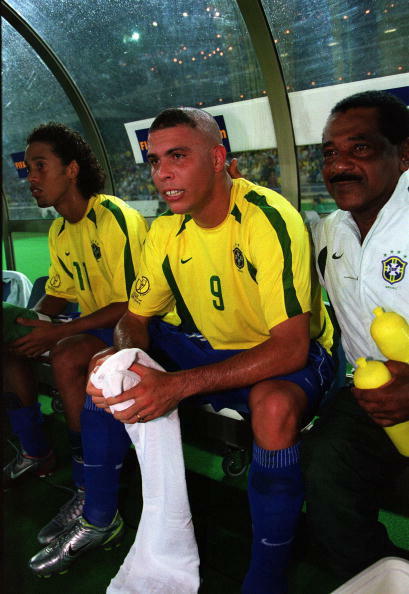 It was Romário who advised Ronaldo to start his European career at PSV; Romário being a former striker of the team from 1988 to 1993. Ronaldo scored 30 league goals in his first season in the Netherlands. His second season was marred by a knee injury which kept him out of most of the campaign, but he still averaged nearly a goal a game in the league, scoring 12 goals in 13 appearances. 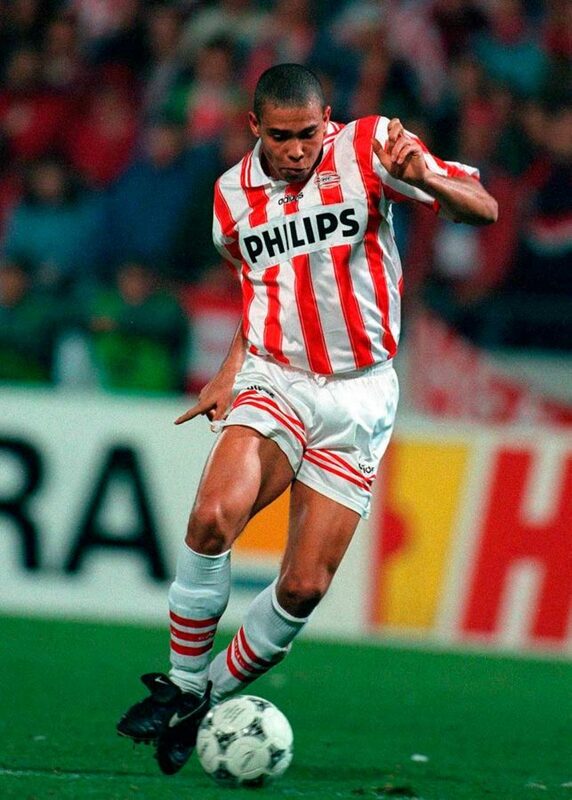 With PSV, Ronaldo won the Dutch Cup in 1996 and he was Eredivisie top scorer in 1995. During his two seasons he scored 54 goals in 58 games. 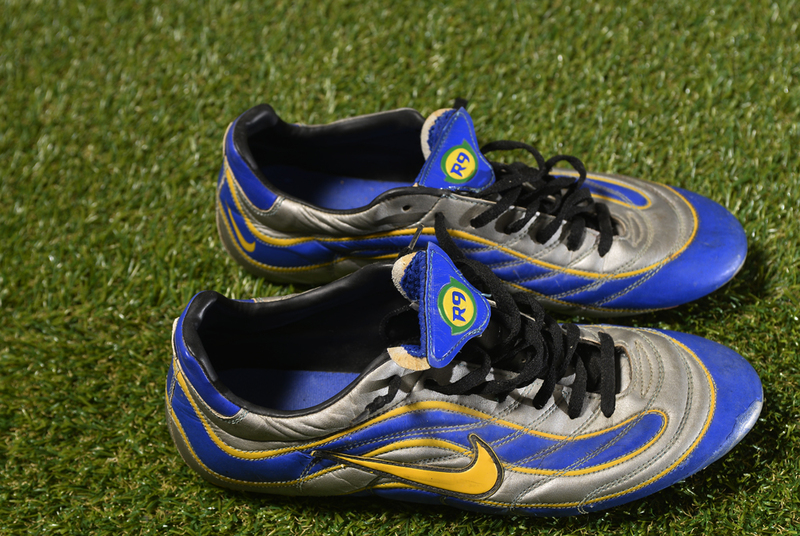 These boots were used by Ronaldo during the Fifa World Cup “France 98”. 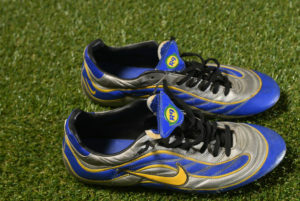 They were used in several games and they were given to his team mate the goalkeeper Carlos Germano who we got it from. 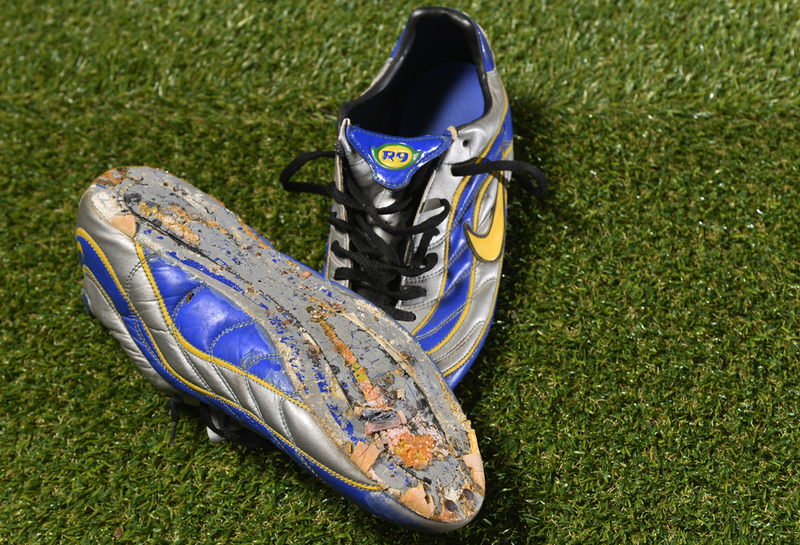 The boots were given after the World Cup and they were very used and damaged with a sole missing. 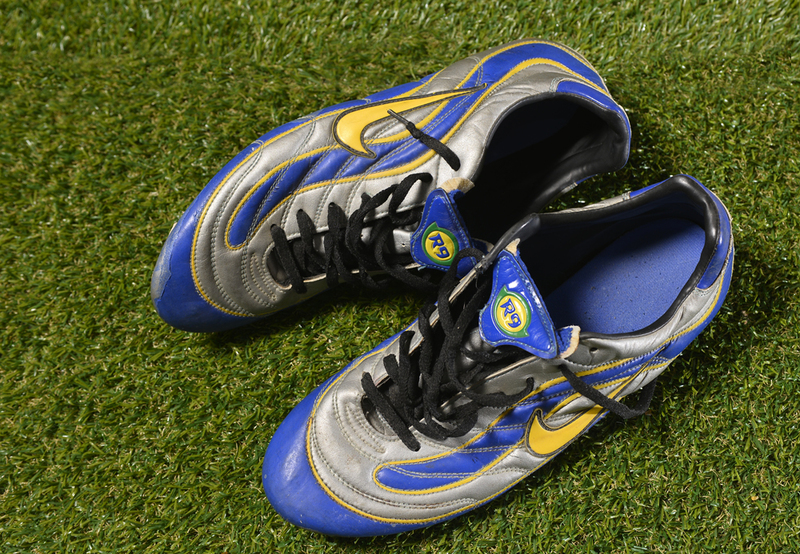 This Nike Mercurial, especially made for World Cup 1998 for Ronaldo, and used by him only, is definitely the most popular known Nike model ever. 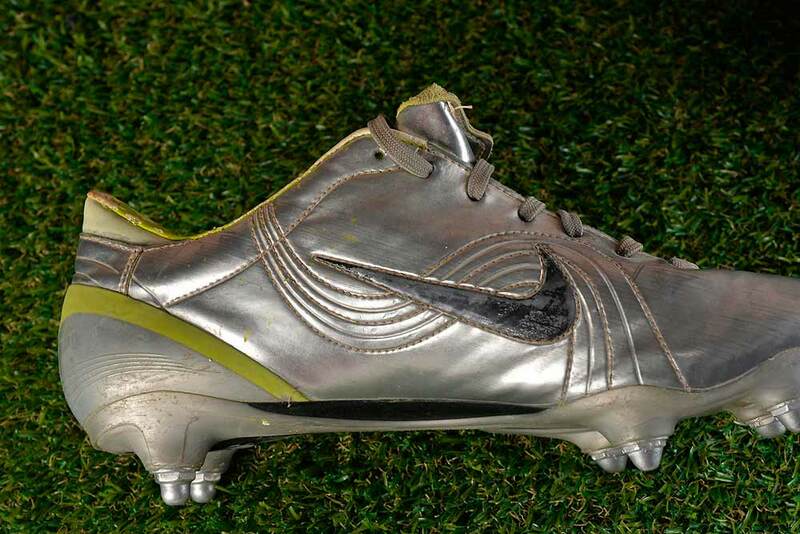 To celebrate the 20th anniversary of Nike Mercurial in 2018 a Ronaldo Mercurial 1998 re-edition was released. See below Ronaldo with the 2018 Mercurial. 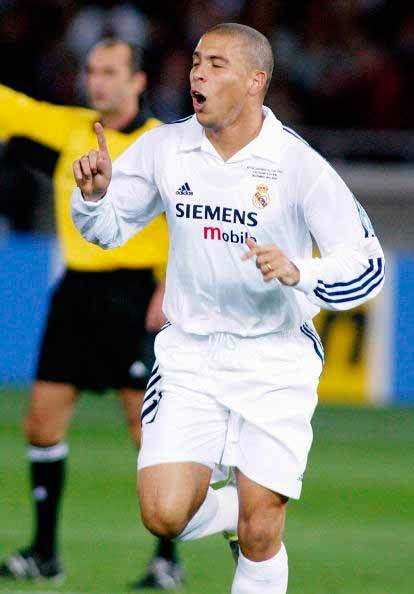 In 2002 Ronaldo signed for Real Madrid for €46 million. His jersey sales broke all records on the first day, such was the obsession and hype surrounding him. 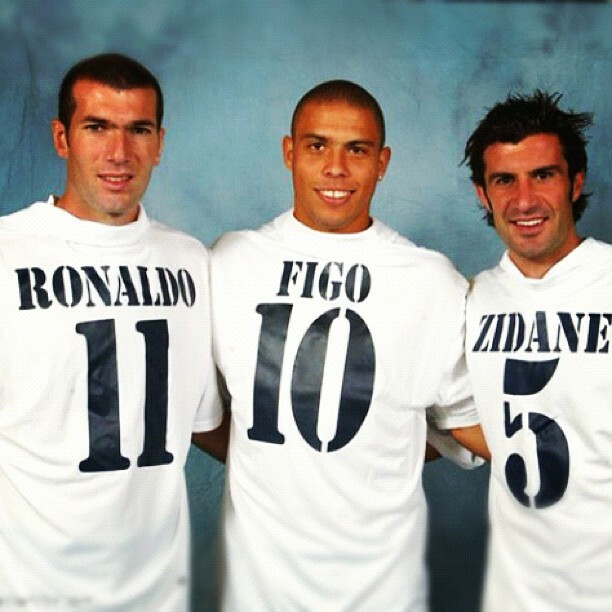 Ronaldo was part of the Galácticos era, which included Zinedine Zidane, Luís Figo, Roberto Carlos, Raúl and David Beckham. He was sidelined through injury until October 2002 but the fans kept on chanting his name. Ronaldo scored twice in his debut for Real Madrid. He received a standing ovation at the Santiago Bernabéu. 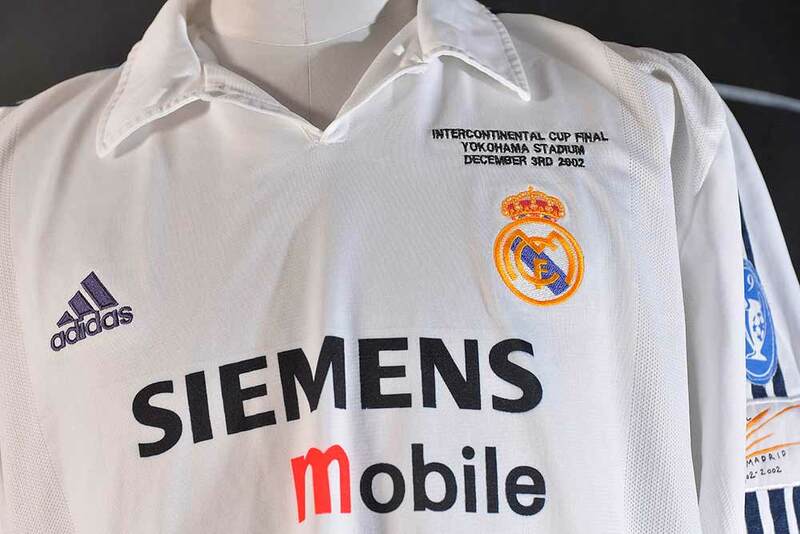 That same reception was observed on the night of the final game of the season against Athletic Bilbao, where Ronaldo scored again to seal his first season with 23 league goals and the La Liga title for 2003. He also won an Intercontinental Cup in 2002 and Spanish Super Cup in 2003. Ronaldo was a Nike testimonial. He wore Nike boots since his very beginning. Nike, as it happened for example with Michael Jordan with the AIR JORDAN developed Ronaldo’s own line called R9. 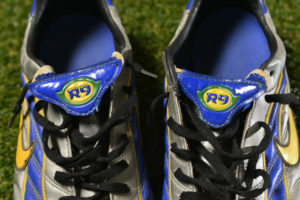 Ronaldo’s boots were branded R9 and many other players sponsored by Nike used a similar R9 boots. But Ronaldo’s boots had a small details that made his boots different from the others. 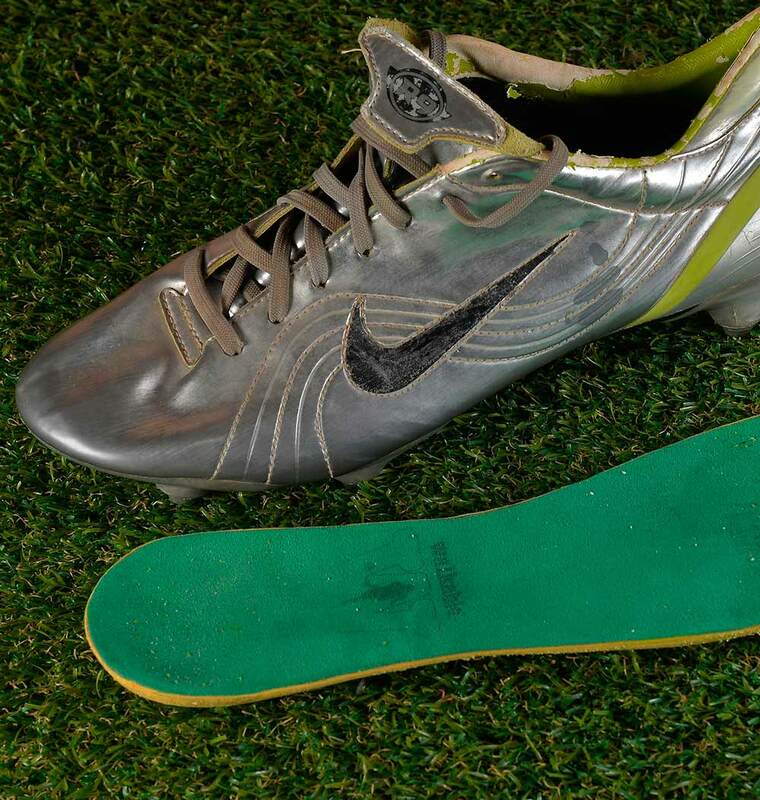 He was the only player to have the Nike Swoosh stitched all around. 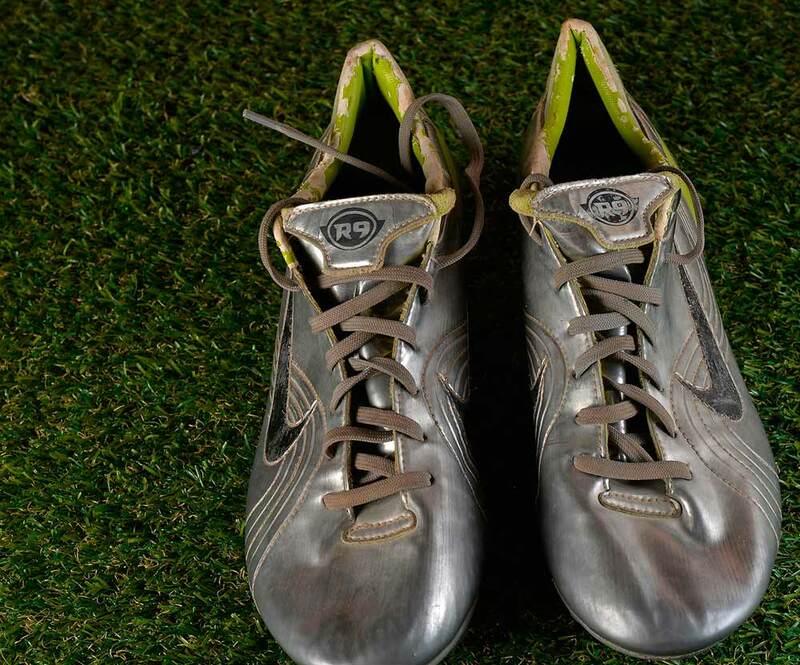 So if you’ll ever have a pair of Ronaldo’s boots make sure to check this detail…If they don’t have it…they are not Ronaldo’s. Watch all of the FIFA WORLD CUP 2002 goals of Ronaldo. Prior to the 2002 FIFA World Cup, Ronaldo had barely played since rupturing the cruciate ligament in his right knee in April 2000, and he missed Brazil’s entire qualification campaign where, in his absence, the team had not been impressive. In a remarkable comeback from injury that had threatened his career, Ronaldo led Brazil to their record fifth World Cup triumph where he won the Golden Shoe as top scorer with eight goals, and was runner-up to the Golden Ball as most valuable player in the tournament. 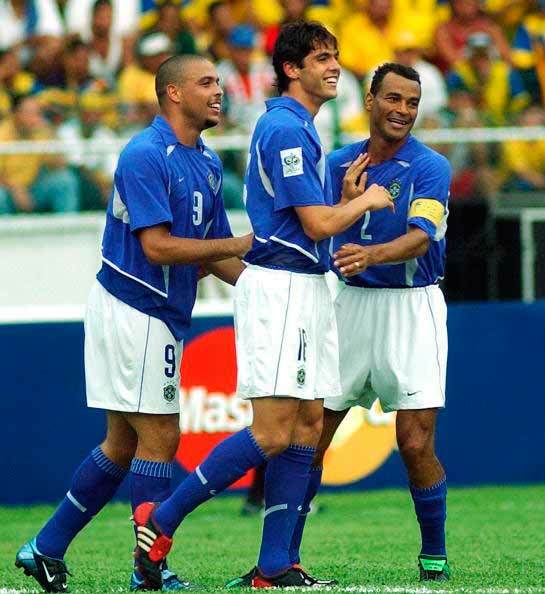 Dubbed the “three R’s”, Ronaldo starred in a formidable attack alongside Rivaldo and Ronaldinho, and the trio were named in the FIFA World Cup All-Star Team. Ronaldo scored against every opponent in the tournament except in the quarter-finals against England. In the final against Germany in Yokohama, Japan, Ronaldo scored twice and tied Pelé’s Brazilian record of 12 career World Cup goals. 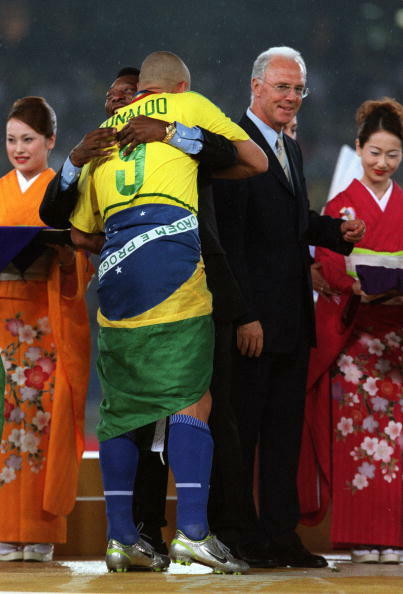 Ronaldo was congratulated by Pelé when receiving his World Cup winners medal. Gérard Saillant, the French surgeon who operated on Ronaldo’s knee, was in the crowd as his guest, and stated after the game; “This gives hope to everyone who is injured, even those who aren’t sportsmen, to see that by fighting you can make it. He’s back to where he was; it’s hugely satisfying and I am very moved.” Ronaldo received the Laureus World Sports Award for Comeback of the Year, and in December 2002 he dedicated his third FIFA World Player of the Year award to the medical team which helped him recover. 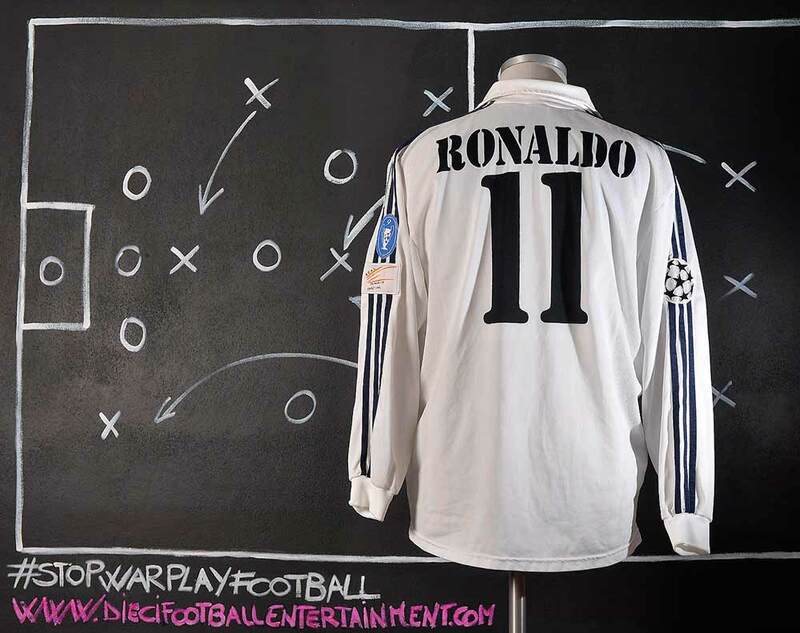 Ronaldo is regarded by many in the sport as one of the greatest and most complete forwards of all time. 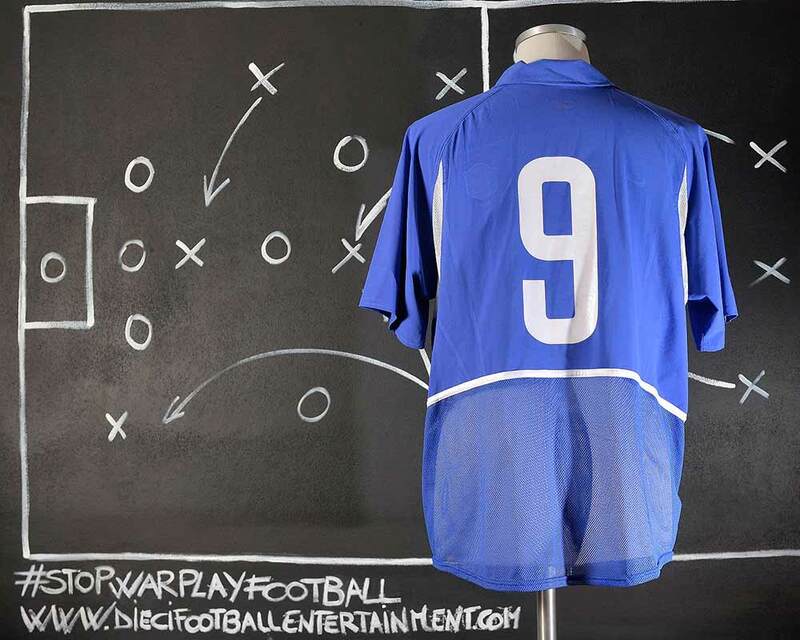 Dubbed Il Fenômeno (the phenomenon), he was a prolific goalscorer, and despite being more of an individualistic attacker, he was also capable of providing assists for his teammates, due to his vision, passing and crossing ability. He was an extremely powerful, fast, and technical player, as well as being a composed finisher. 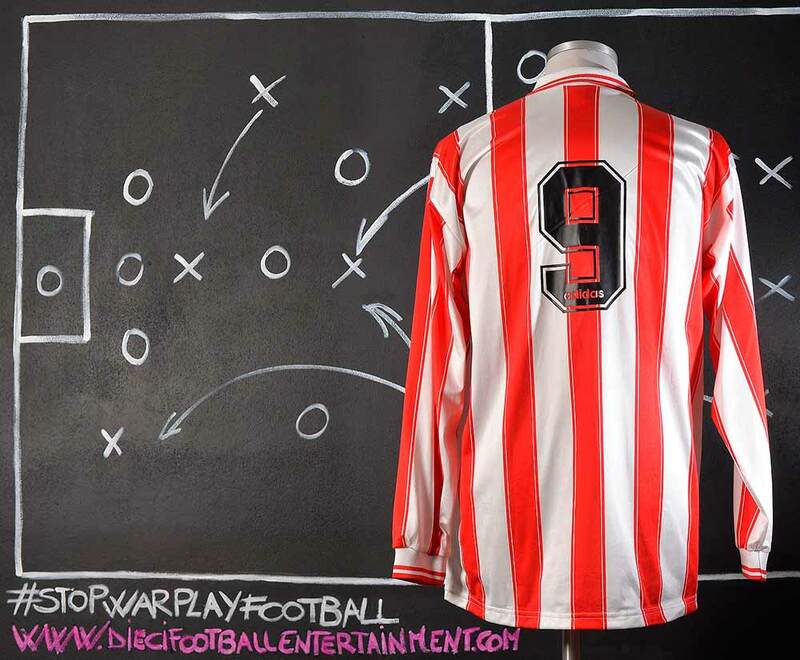 He was capable of playing in several offensive positions, although his preferred role was that of a striker, and he was able to use both feet, despite being naturally right footed. 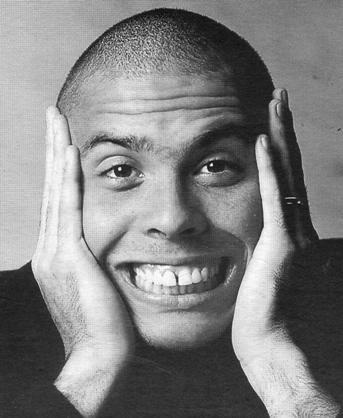 Ronaldo was highly regarded for his technical ability, and he is considered one of the most skillful individual dribblers in the game.Along with Brazilian compatriot Romário and African star George Weah, Ronaldo was seen as a new breed of striker in the 1990s who would also operate outside the penalty area before running with the ball towards goal: Ronaldo was frequently capable of beating several players when undergoing individual dribbling runs at speed, and he was also equally competent in one on one situations, due to his ball control, acceleration, agility, balance, quick feet and technical skills. 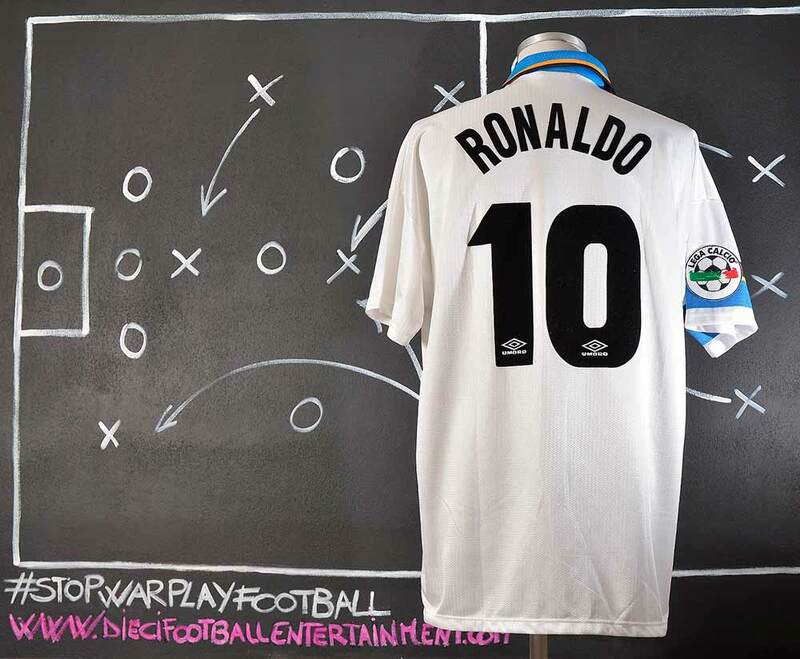 In one on one situations, Ronaldo would often use elaborate feints to trick and beat defenders and goalkeepers; he most notably popularized the use of many football tricks and skills, such as the elastico, the step over, the nutmeg, among others. In his prime, Ronaldo was an extremely fast player with great acceleration, which made him a threat for opposing defences when he undertook individual dribbling runs during counter-attacks.His coach at Barcelona, Bobby Robson, commented: “He was the fastest thing I’ve ever seen running with the ball. Had he managed to stay free of injury, he had every chance of becoming the best footballer ever”, while Lionel Messi states: “He was the best striker I’ve ever seen. He was so fast he could score from nothing, and could shoot the ball better than anyone.” Ronaldinho called Ronaldo “the most complete striker there has ever been.” Ronaldo was also a strong and powerful player who could shield the ball from the opposition, with former Italian defender Alessandro Nesta (who faced Ronaldo in a high-profile one on one duel in the 1998 UEFA Cup final) stating: “Ronaldo is the hardest attacker I’ve ever had to face. He was impossible to stop.” With his quick reactions and anticipation, he regularly beat defenders to the ball, and as a finisher he was effective with his head, and could finish well both inside and outside the penalty area. In addition to these attributes, Ronaldo was an accurate free-kick and penalty kick taker. 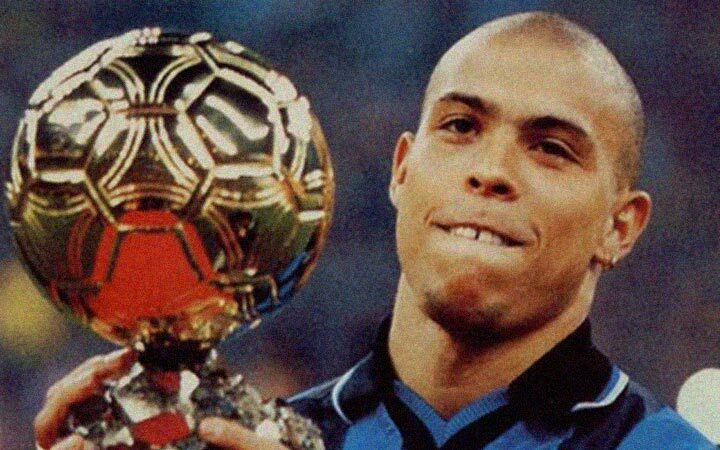 At his physical peak in the 1990s, Ronaldo later became severely affected by serious knee injuries he would suffer from late 1999 onward and the subsequent weight gain during his inactivity, which limited his speed, fitness, and mobility. Ronaldo won the FIFA World Player of the Year three times, in 1996, 1997 and 2002, and the Ballon d’Or twice, in 1997 and 2002, as well as the UEFA Club Footballer of the Year in 1998. 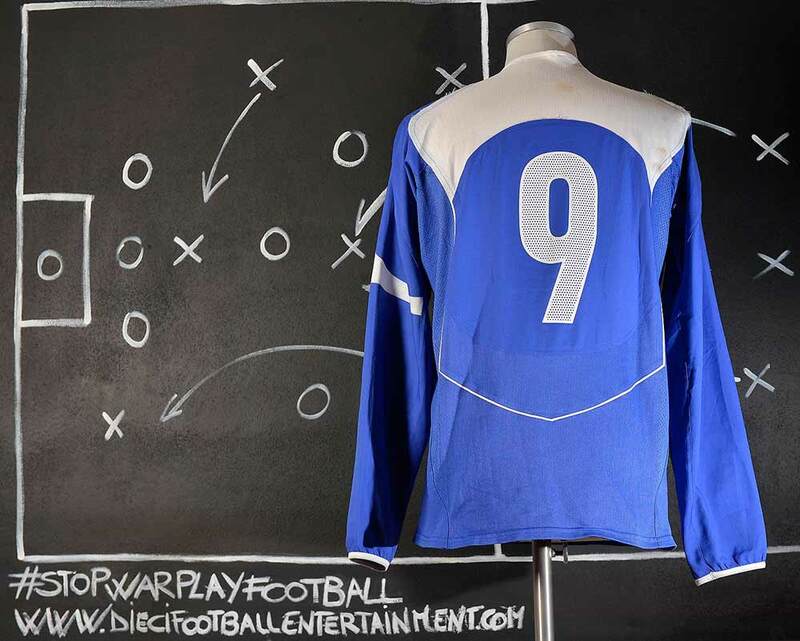 He was La Liga Best Foreign Player in 1997, when he also won the European Golden Boot after scoring 34 goals in La Liga, and he was named Serie A Footballer of the Year in 1998. He was named in the FIFA 100, a list of the greatest living players compiled in 2004 by Pelé, and was inducted into the Brazilian Football Museum Hall of Fame and the Italian Football Hall of Fame. 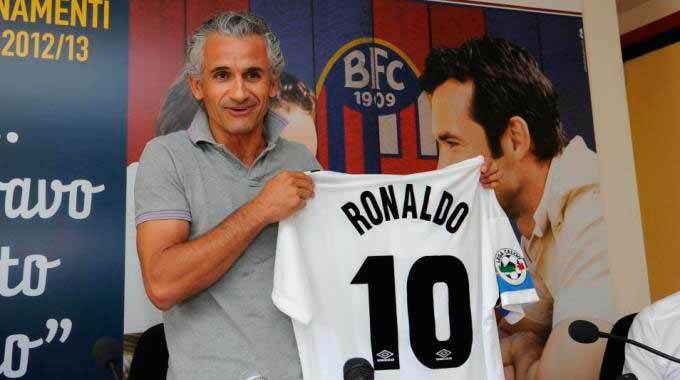 On 18 January 2007, it was reported that Ronaldo agreed terms with A.C. Milan for a transfer of €8.05 million. Ronaldo was forced to pay for the remaining period on his contract which tied him to Real Madrid, only because the latter did not agree to release him, while Milan were not ready to pay such a sum. On 25 January, Ronaldo flew from Madrid to Milan to watch the team play in a cup tie against Roma. Statements on the club’s website said that Ronaldo was in Milan for a medical, and that a meeting had been arranged for Monday with Real Madrid officials to discuss and finalize his transfer to the Milanese club. 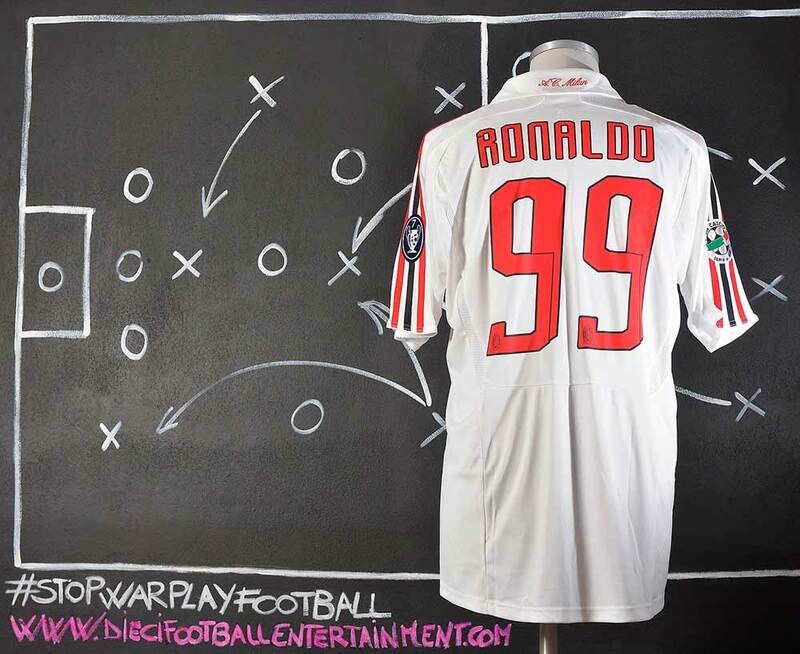 On 26 January, Ronaldo successfully completed his medical tests at the Milanello training complex under the supervision of club doctors, and the transfer completed on 30 January and got the squad number 99. 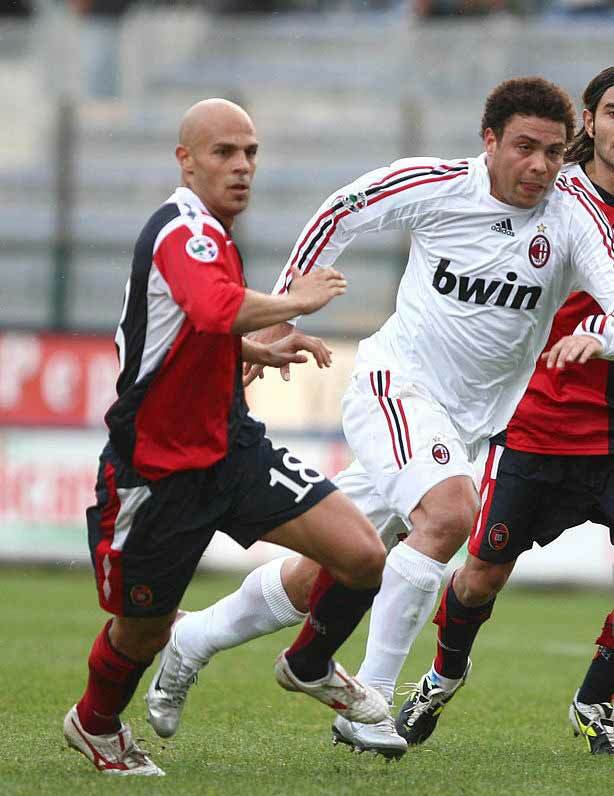 He made his debut as a substitute on 11 February 2007, during the 2–1 victory over Livorno. The next game at Siena, on 17 February, Ronaldo scored twice and assisted on a third goal in his first start for Milan, as they won 4–3. In his first season, Ronaldo scored seven goals in 14 appearances. 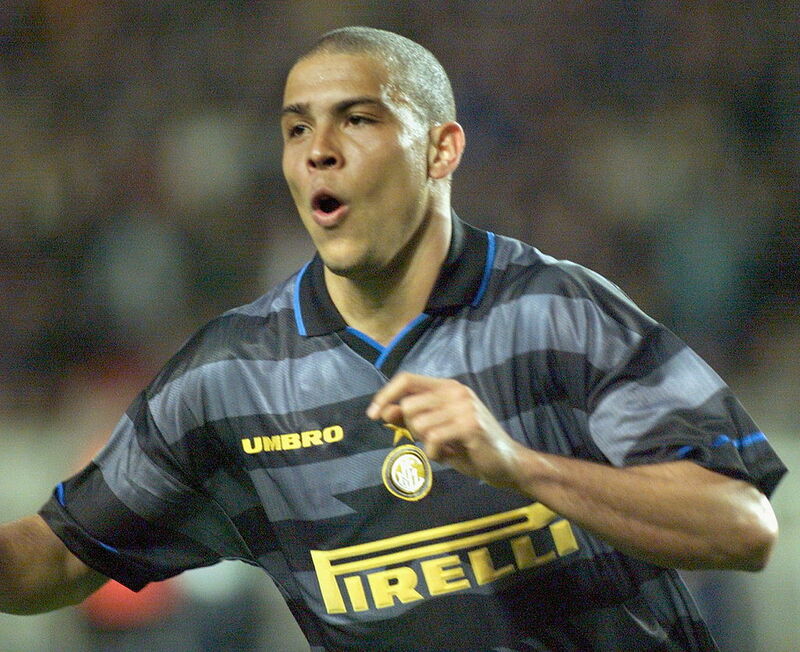 After his move to Milan, Ronaldo joined the list of the few players to have played for both Inter Milan and A.C. Milan in the Derby della Madonnina, and is one of two players to have scored for both sides in the derby game (for Inter in the 1998–99 season and for Milan in the 2006–07 season), the other player being Zlatan Ibrahimović. Ronaldo is also one of the few players to have started for Real Madrid and FC Barcelona, which also boasts a heated rivalry. Ronaldo, however, has never transferred directly between rival clubs. 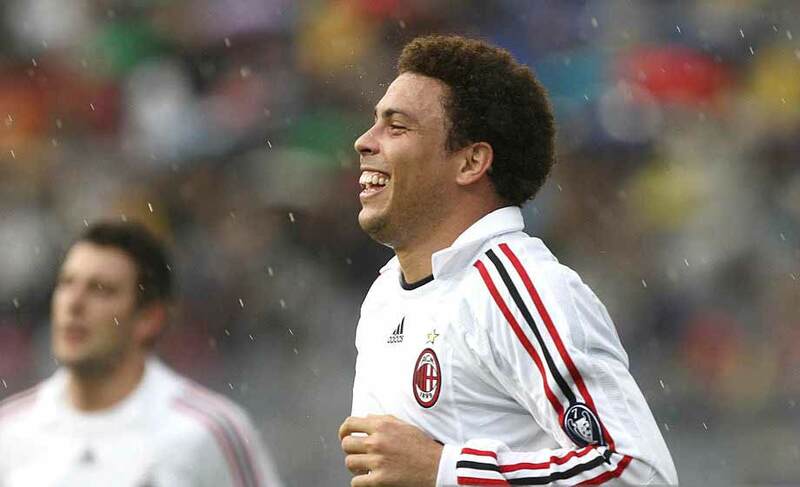 Ronaldo only played 300-plus minutes in his single season at Milan due to recurring injury problems and weight issues. Ronaldo’s only goals in the 2007–08 season, besides his goal against Lecce in pre-season, came in a 5–2 victory against Napoli at the San Siro, where he scored an emotional brace. It was also the first time Milan’s much hyped attacking trio of Kaká, Alexandre Pato and Ronaldo, known as Ka-Pa-Ro, played together. 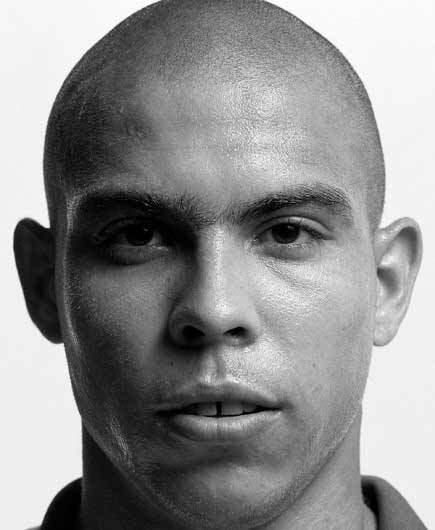 Ronaldo has been sponsored by sportswear company Nike since the early part of his career. 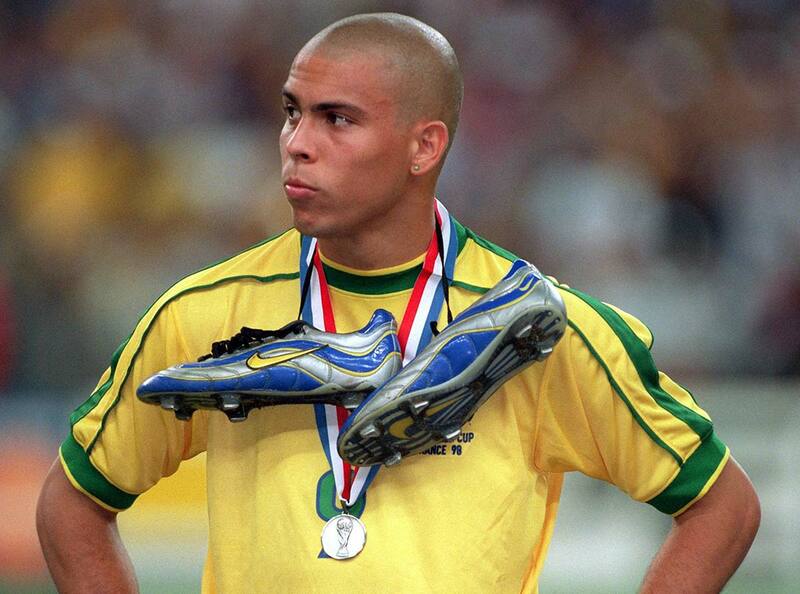 In 1996, Nike signed Ronaldo to a 10-year contract and to a lifetime endorsement deal worth over $180 million. 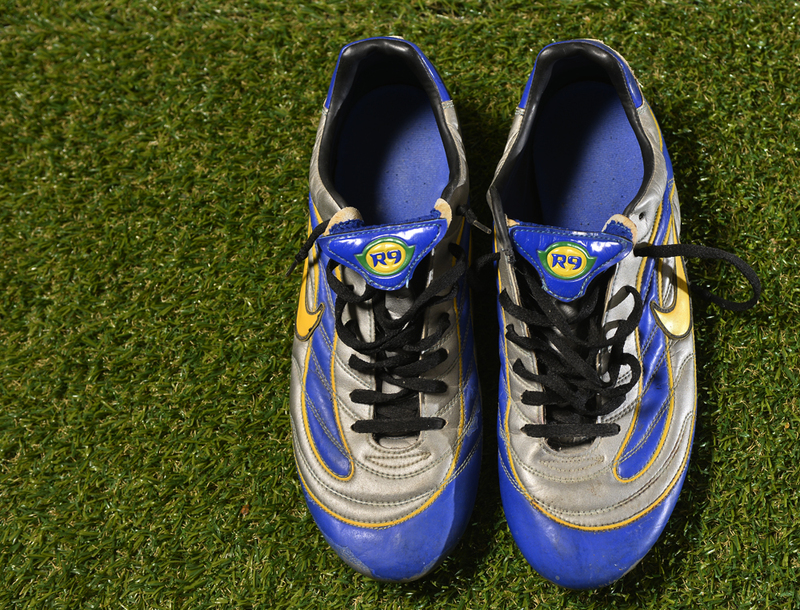 He is closely associated with the original Nike Mercurial R9 that was designed for him for the 1998 FIFA World Cup. 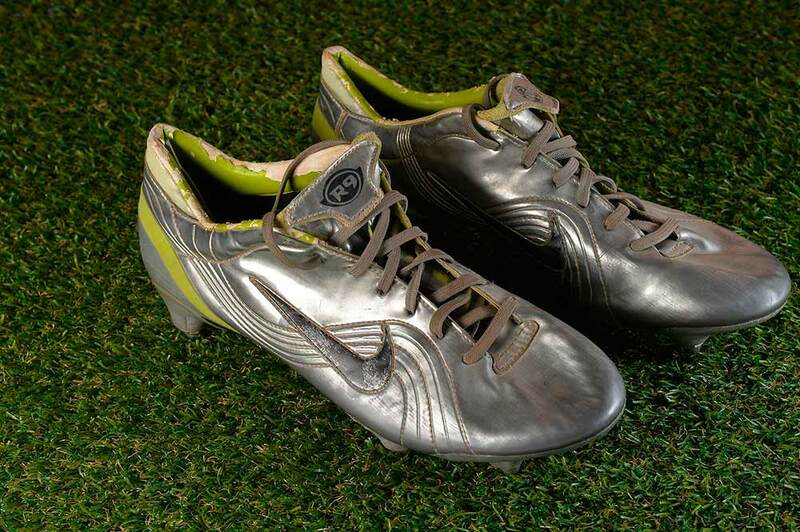 To celebrate 15 years of the iconic boot, Nike created a Mercurial Vapor IX inspired by the 1998 design, with Phil McCartney, VP of Football Footwear for Nike, stating; “Ronaldo’s impact on the game 15 years ago was immense, and in the run up to 2014, we wanted to celebrate that boot and the man himself. 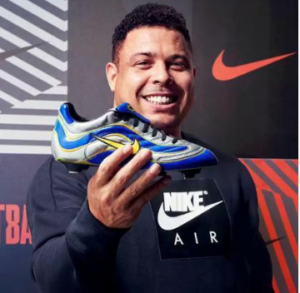 We thought a modern construction of his 1998 boot would be a great commemoration of that moment.” Ronaldo has appeared in a series of Nike commercials. He starred in the 1996 Nike commercial titled “Good vs Evil” in a gladiatorial game set in a Roman amphitheatre. 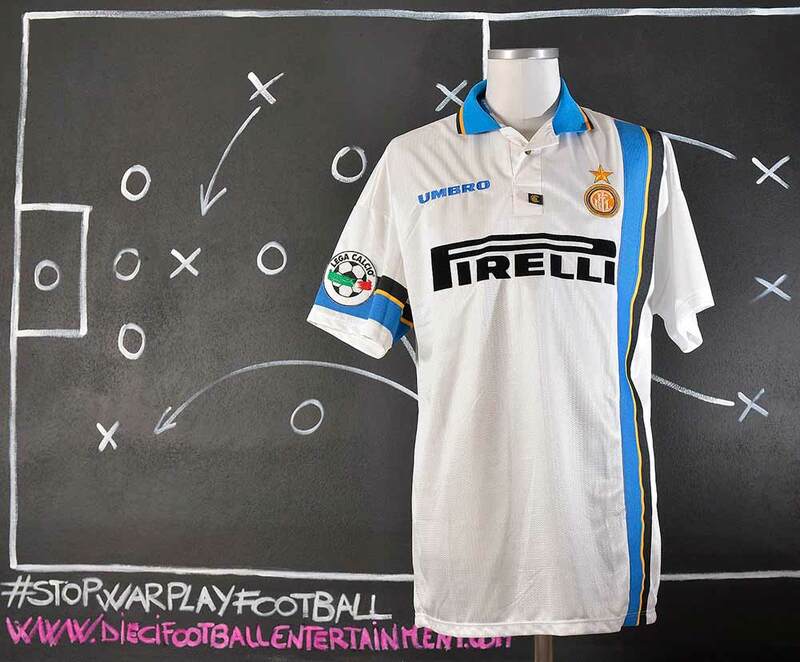 Appearing alongside football players from around the world, including Paolo Maldini, Eric Cantona, Luís Figo, Patrick Kluivert and Jorge Campos, they defend “the beautiful game” against a team of demonic warriors, destroying evil by winning the match. 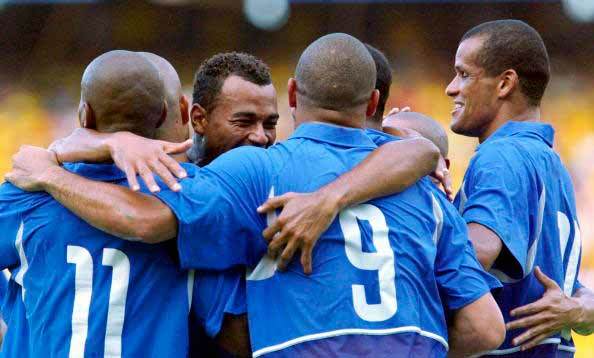 In 1998, he featured in a Nike commercial set in an airport with a number of stars from the Brazil national team, including Romário and Roberto Carlos. 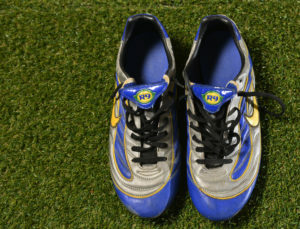 In a Nike advertising campaign in the run-up to the 2002 World Cup in Korea and Japan, he starred in a “Secret Tournament” commercial (branded “Scopion KO”) directed by Terry Gilliam, appearing alongside football players such as Thierry Henry, Fabio Cannavaro, Francesco Totti, Ronaldinho, Luís Figo and Hidetoshi Nakata, with former player Cantona the tournament “referee”.